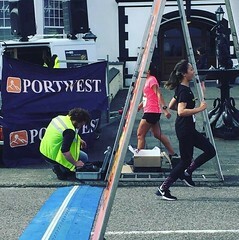 With 3 local races in a row this week on offer, I took the 5k option in Conna because I haven’t done it before and it isn’t too far from my base in East Cork. You can get there in 25/30 mins from the Dunkettle roundabout, so it’s within easy reach for anyone travelling from the city. Registration took place in the community centre and it cost €8 to enter. Here I got a glimpse of the mountains of cake and sandwiches that were waiting for me when I finished. Local club St.Catherine’s AC organised the race and 243 athletes took part in the main event and there was also a 5k walk that started at 6:30. There was a family handing out water halfway up it and they were very encouraging as we passed them…very slowly. Once we hit the 2 mile mark, it was a lovely downhill all the way to the finish line where loads of locals cheered us on. 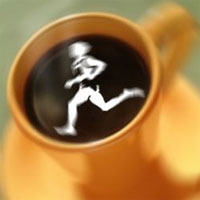 My time was 20:05 and my mile splits were 6:03, 7:27 (192ft elevation gain) and 6:04. It’s certainly not a PB course but I love the community feel you get from these small local races and I would certainly recommend it and I’ll be making the trip north again to do it. 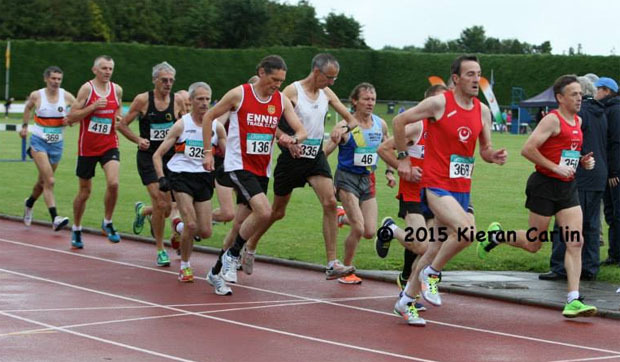 The National Masters Track and Field Championships were held in Tullamore, Co.Offaly on Sunday the 26th of July. 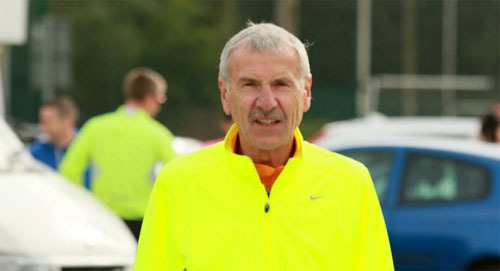 In the men’s 5000m race, club member Richard Piotrowski won Gold in the M65 category! 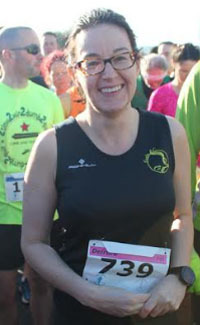 This was the fifth or sixth running of this local race, the proceeds of which go to local charity and community organizations. 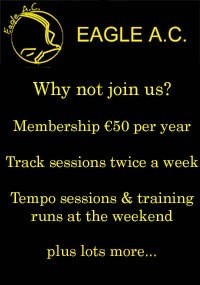 The main organizers are Carrigtwohill AC. This year there was some delay due to an accident in the tunnel and so numbers may have been affected. In any case 534 competitors did show. Chip timing was provided. 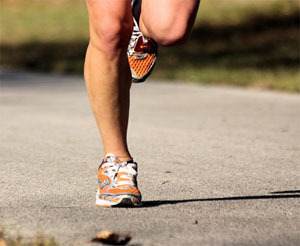 The race is on quiet country roads which, while in theory fairly flat, in fact give three short hills on the course, one in particular being steep and harsh. As the course is two-lapped one has to do these hills twice. The evening also contributed to slow times as the temperature was around 18 degrees at start time and humidity high. Nonetheless it was a lovely evening and in general a pleasant race experience if one could let go the fact that the course is basically a slow one. 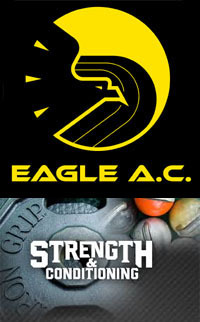 Eagle results are given below, although one or two may be missing as in my case at least the club tag did not come up on the results even though I filled it in on the form. (Does anyone find it a bit annoying to have to fill in one’s own details rather then have the organizers do it?). 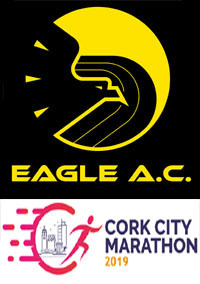 My personal race was tough and there were few enough Eagles there, most of my race was spend dealing with Youghal and Midleton runners who seemed to have turned out in big numbers and hung out in groups on the course. My usual 400 meter kick saw me gain ten to twelve places, catching most of the guys who had passed me in the last mile or so. The spread was fantastic with cakes galore and I joined John and Patrick for the usual race post mortem. As we sat and stared up at the wonderful Barryscourt castle the thought struck me that it would be wonderful to have the food in the main hall of the now restored castle and also a treat for the many family members who had come along to support the runners. This would really add a distinctive touch to this race. 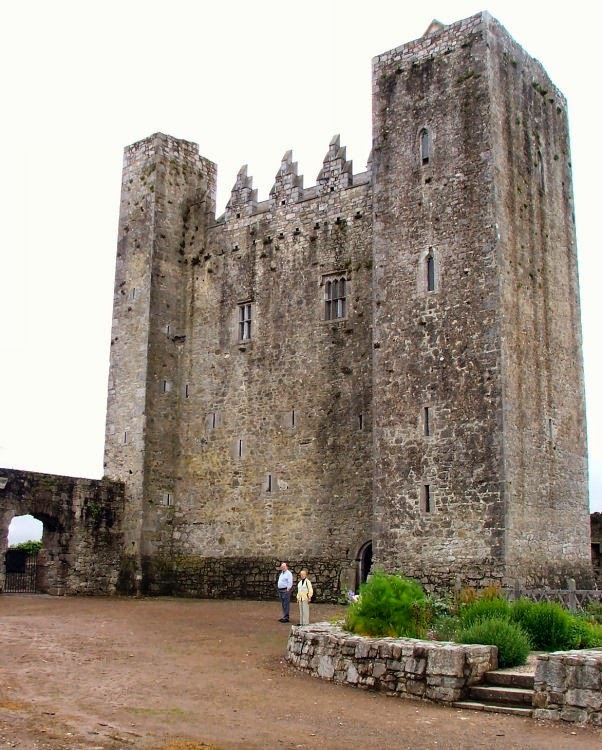 This castle is one of the best preserved in Ireland and has a wonderful history (my paper on this is due out later this year published by the OPW). In past years the castle garden was open to race visitors but I noticed that it was closed this year. 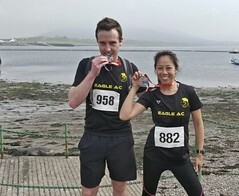 Allihies 5 mile : The inaugural Allihies 5 mile road race was held on Saturday the 20th of June and attracted a field of just over 100. 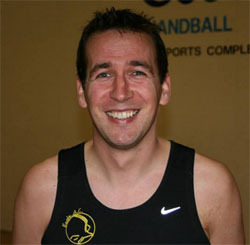 Mark Gallagher finished in 8th position. 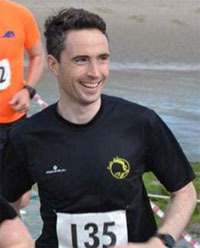 Exclusive Run Series 5k : Well done to Ciarán Bouse who finished 2nd in the Exclusive Run 5k in Craggaunowen Park, Co.Clare on Wed 24th June…. 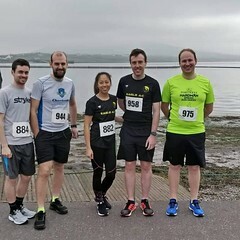 Courtmacsherry 10k : The annual Courtmacsherry – Timoleague 10k road race was held on Friday the 26th of June and 8 members took part. 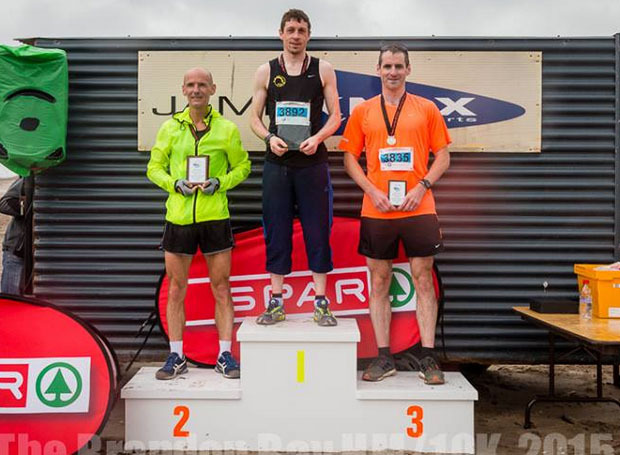 Alan O’Brien managed a podium place with a 3rd place finish while Pat O’Connor, Ronan Boland and Richard Piotrowski each won their category. 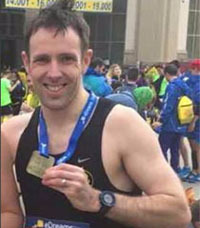 It’s worth noting that Richard’s time of 39:57 was just outside the Irish M65 Masters 10k road race record of 39:53. 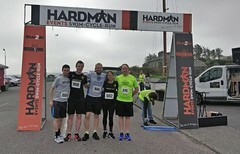 Waterford Viking Marathon : The Waterford Marathon was held on Saturday the 27th of June and we had 3 members completing the full. 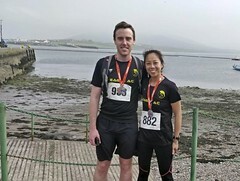 Fota Trail Race : There was a 8km trail race organised by Fota Island Resort on Sunday the 28th of June. Pat O’Connor finished 17th out of 250 finishers. 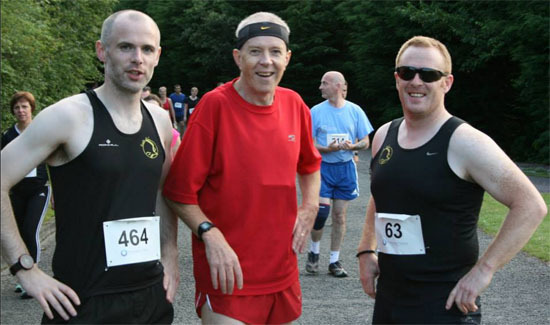 Corkbeg 4 mile : This 4 mile race near Whitegate was held on Thursday 2nd of July and we had 2 members present. 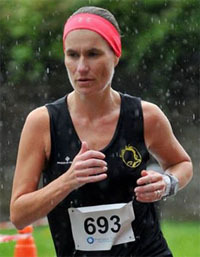 Ballinascarthy 10km: We had several members running in the Ballinascarthy 10km race. 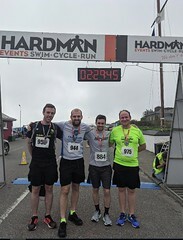 Donoughmore 7: we had 8 members take part in this more unusual distance of 7 Miles in Donoughmore, four of whom took category prizes. 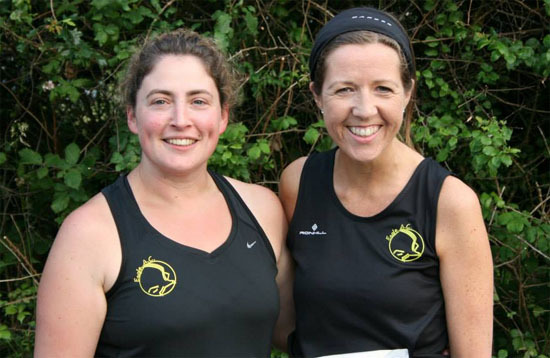 Shannonvale 10km: On the same night as the Donoughmore race, there was also a ten km race in West Cork at which we were also well represented, with several once again in the prizes. 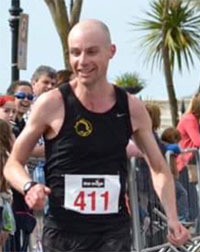 Catching up with some recent results…Well done to club member Ed Sutton who won the Brandon Bay Half-Marathon recently in Co.Kerry. 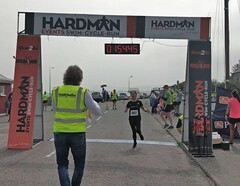 This is a half marathon with a difference as it is run entirely on the beach! 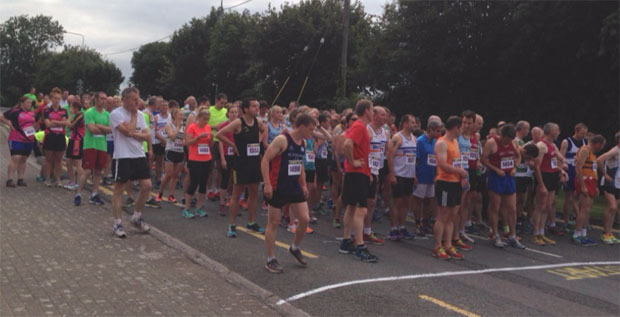 Review of the Carrigtwohill 5k road race…by a Mystery Runner! Now for something new! 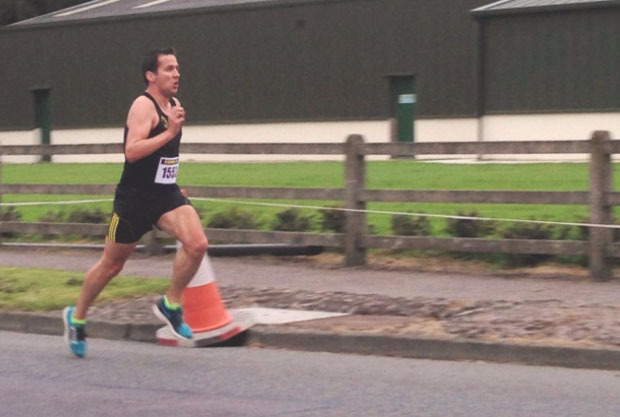 This time, we have a review of the recent Carrigtwohill 5k road race by an anonymous member going by the title ‘LMG…Low Mileage Guy’. Low Mileage Guy heads East ! 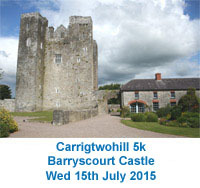 Encountering heavy traffic due to a truck breakdown Low Mileage Guy ( LMG ) headed east on Wednesday July 15th for the annual 5K around Barryscourt Castle. Despite arriving later than anticipated just after 7pm he was directed to an area of the parking field furthest away from the Registration area, leaving the closest slots for the late arrivals ! This has become a very annoying feature of race events recently, where the early arrivals get penalised for being on time ! On route I was handed my registration form to complete with a pen so I was ready when I arrived at the registration table to part with my €10. it was a lovely dry warm evening and the guys from Precision Timing were ready to chip time everyone which was a great feature of this race ! As expected due to the traffic issues the race started about 15 minutes late and having warmed up by running 2 miles around the two loop course LMG was ready for the challenge that lay ahead. 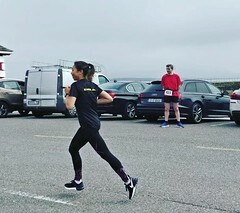 A large crowd of about 500 plus towed the line on a perfect surface for a fast 5K which many felt was relatively flat but boasted 3 very nice hills on each circuit, which you covered twice. The first mile was covered in a steady 6.15 mins and left Low Mileage Guy feeling calm and running well. The heavy balmy evening started to impact on the 2nd mile and the hills slowed the pace to a steady 6.25 pace and when the last hill at 2.5miles was climbed all that was left was a strong down hill finish to complete what a very satisfying race in just under 20 mins ! An excellent out door buffet in an array of tents was then visited by all where an abundance of sandwiches, cream cakes, teas , coffee, was available for all to feast upon. Within a very short time the presentation of prizes who place , again outdoors and was well attended due to the expediency of their timing ! 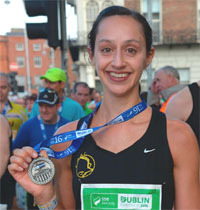 Alan O Shea was a worthy winner of the men’s race in a fantastic time of 15.13 with Sheila Buckley the ladies winner in 19.23. Thankfully Low Mileage Guy won a category prize for his efforts.